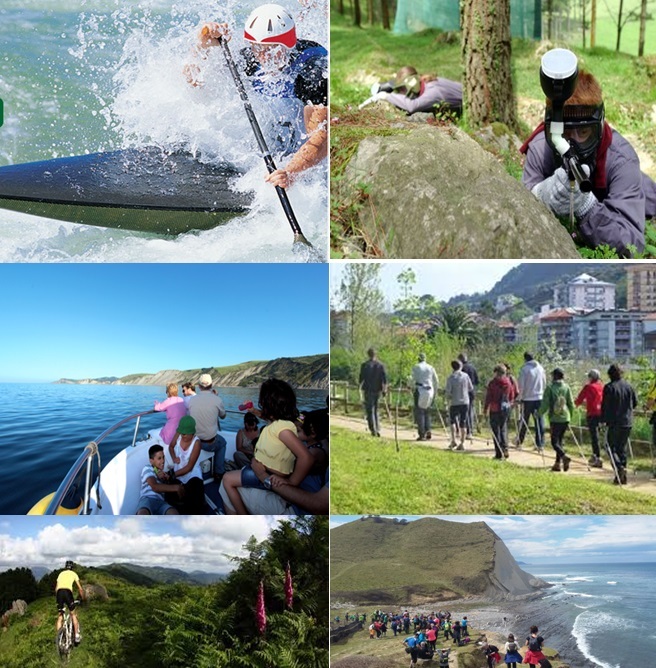 Deba is a living, active destination; and it has a wide offer to practice outdoor sports and activities. In fact, surrounded by the river, the mountains and the beach it has a unique natural landscape for sport activities. Choose the one you like and enjoy that natural aspect of Deba. The main characteristic of the region are its landscapes, in which the blue of the coast and the intense green of its mountains inland contrast and, at the same time, merge with each other, providing a real surprise for the visitor. On the coast, the routes take the visitor close to a string of beaches, coves and cliffs, including unique geological formations known as Flysch, considered to be one of the most important of its kind in the world. In addition, in the region of Debabarrena there are many monuments and places of great historical and cultural interest. The MTB Center has 15 mountain bike routes well signalized while we discover the forests, rivers, cliffs and beaches of this region. Most of them are difficult or very difficult and they are signalized by red and black colours, respectively. However, families and people who want to enjoy easier routes (green and blue ones) can find itineraries to their liking on the coast and close to the Welcome Point. This is located in the sports centre of Mintxeta, in Elgoibar. Kayaking gives us the opportunity to discover Deba from another point of view in order to know beautiful corners of the mouth of the river. It is a great opportunity to enjoy nature, a tour through the marshes and wetlands where practicing an easy, funny and safe sport you can see a wide variety of birds. Deba is in the heart of the Basque Coast Geopark and its cliffs are the most spectacular of the coast. It has the distinctive feature of forming a continuous series of almost 60 million years; the flysch, successive rock stratum which have been uncovered because of the continuous action of the sea, shows us this. Geogarapen, the Association for the Management of the Basque Coast Geopark, has a wide range of guided visits, by sea and land. By professional guides, these visits give us a great opportunity to see the most spectacular corners of the Basque Country and the Basque Coast Geopark. Reservations can be made on the website of the Geopark. 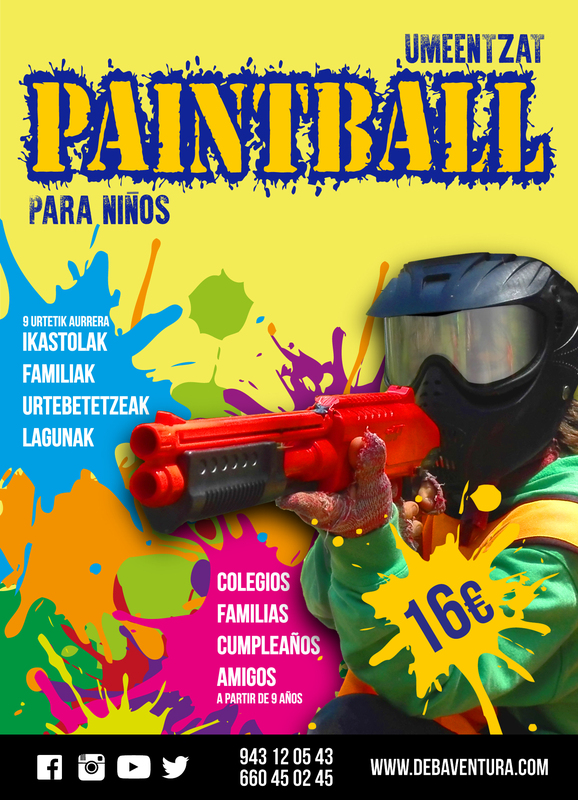 Lastur Valley can be a very interesting adventure point; as it is a strategic place for paintball. It is an activity that is done in group and offers the opportunity to get in touch with nature. It's enjoyable not only for adults but also for children. 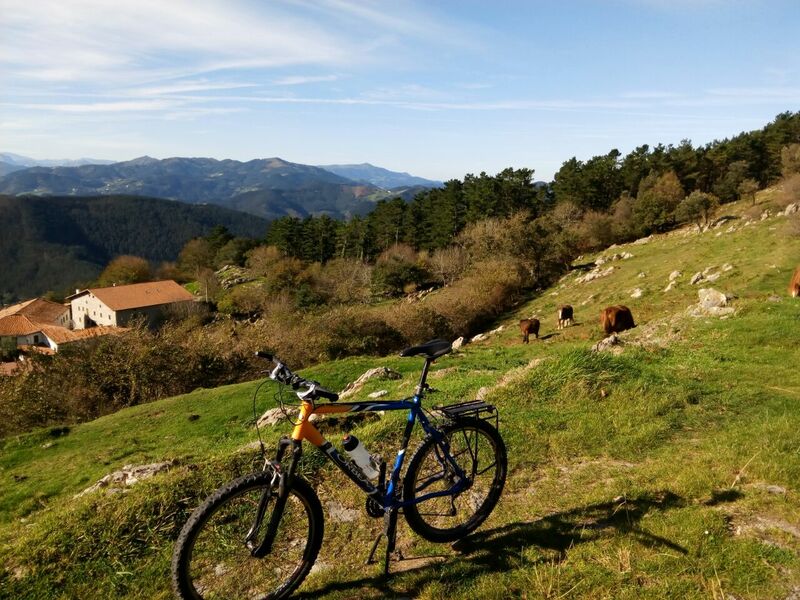 In Deba, you can also ride a horse to see its beautiful landscapes. It can be an outstanding opportunity to go through the old traditional pahts and routes of the region Debabarrena, either on the mountain or along the coast. The variety of the valley offers us the opportunity to organize many activities depending on which period of the year we are. They are very well-known the capeas organized in Lastur every weekend during the whole year, where the square becomes a bullring. Those who approach this valley will have the opportunity to face the indigenous livestock cared by"Saka".